Gold-Rush is a new, all purpose ultra fast fishing boat. It is an offshore 2000, launched new April 2009, the ultimate in speed and stability, 28 Knots+. It provides a very safe and dry ride. Gold-Rush is built to MCA Cat 2 code of practice 60 miles, fully insured and licensed for 12 passengers including crew. Sailing 24 hours 7 days a week, 365 days a year! Operating out of Suffolk Yacht Harbour, Levington Marina. practice alongside traditional bottom fishing at anchor. 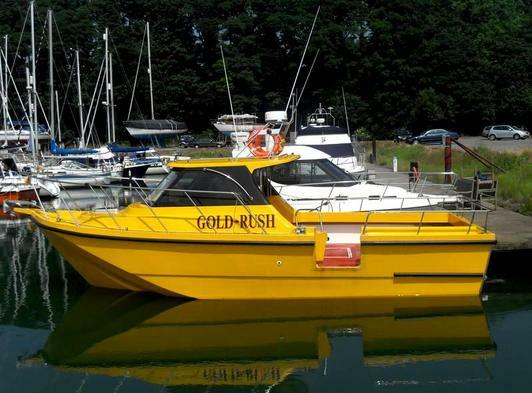 Gold-Rush is family owned and operated by a team of enthusiastic, fanatical and passionate anglers who have over 60 years combined boat ownership, handling and fishing experience between them. 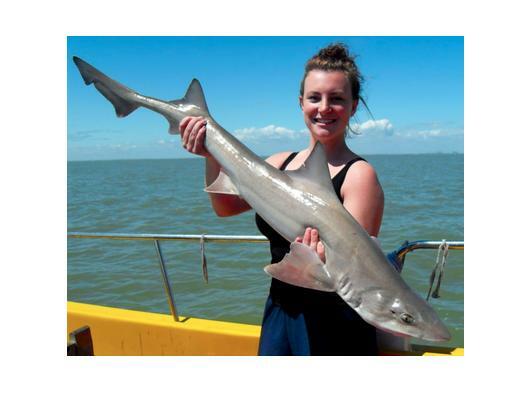 We offer Long Haul wreck fishing, Combined Bass & Wreck day, Bass Fishing. Traditional bottom fishing at anchor for Cod, Skate, Spur Dog, Smooth Hound, Tope etc. Bait & Rod Hire Available. For more information call Jeff on 01473 685383 or 07715600755, don't forget to mention Visit Suffolk when enquiring!